In the eternity of becoming, each Avatar is only the announcer, the forerunner of a more perfect realisation. And yet men have always the tendency to deify the Avatar of the past in opposition to the Avatar of the future. 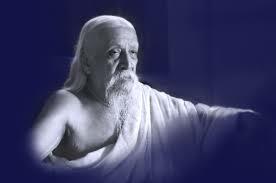 Now again Sri Aurobindo has come announcing to the world the realisation of tomorrow; and again his message meets with the same opposition as of all those who preceded him. But tomorrow will prove the truth of what he revealed and his work will be done.